The Pawtucket Arts Collaborative (PAC) and the Pawtucket Foundation announce the 12th year of this highly regarded, juried art exhibition - the Pawtucket Foundation Prize Exhibition. This year’s Juror is Dominic Molon, the Richard Brown Baker Curator of Contemporary Art at the RISD Museum of Art, located on the Rhode Island School of Design campus in Providence, Rhode Island. Entries will be accepted from January 1st, 2019 through midnight of March 9th, 2019. The opening is March 28th, 2019. Open to all artists, in all media, 2-D and 3-D. Juror is Dominic Molon. $1000 Pawtucket Foundation Prize and $250 PAC Prize awarded at the opening. January 1st, 2019 through 11:59pm March 9th, 2019. Digital submissions only. NOTE: Only JPGs are accepted.Max submission 2 pieces, submission fee for PAC Members $15 for one piece, $20 for two. Non PAC Members $18 for one piece, $23 for two. 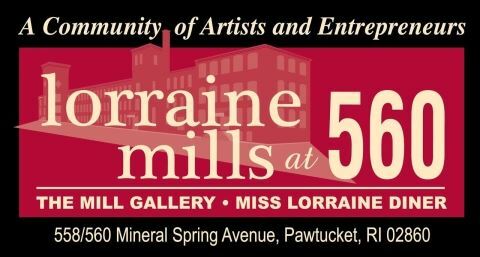 Entry requirements can be found on the Pawtucket Arts Collaborative website here: Checks are no longer accepted-your entry fee MUST be paid via the PayPal link AND your photos must also be uploaded by 11:59pm. No late entries accepted. To enter the show, please click here: You will receive an email with instructions on where to upload photos once your entry is complete. 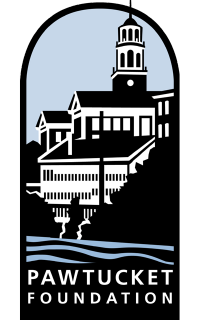 The Pawtucket Arts Collaborative is a member-driven, fully volunteer-run organization dedicated to supporting, promoting and developing the highest level of the arts for the community and its artists by creating awareness, education, and involvement with our members and the public-at-large. Dominic Molon is the Richard Brown Baker Curator of Contemporary Art at the RISD Museum (Museum of Art, Rhode Island School of Design). He previously served as the Chief Curator at the Contemporary Art Museum (CAM) St. Louis (2010-2013) and as Curator at the Museum of Contemporary Art (MCA) Chicago (1994-2010). Molon has organized exhibitions of such prominent living artists as Martin Boyce (2015), Sharon Lockhart (2001), Susan Philipsz (2011), Wolfgang Tillmans (2006), and Gillian Wearing (2002). He has also curated numerous thematic exhibitions including “Sympathy for the Devil: Art and Rock and Roll Since 1967” (2007) and “Production Site: The Artist’s Studio Inside-Out.” Recent and forthcoming projects include the major exhibition of the RISD Museum’s contemporary collection titled “The Phantom of Liberty,” the video program “Bona Drag: An Incomplete History of Drag and Cross-Gender Performance in Film and Video Art,” and collection-based projects with Nicole Eisenman, Simone Leigh, and Adam Pendleton as part of the larger “Raid the Icebox Now” exhibition initiative (2019-2020). Join us for our Spring/Summer Member Show opening on May 9th at 5:30pm. Works can be no larger than 60 inches x 60 inches. They must be wired to hang or, if 3D, must be stable enough to sit on a pedestal and not fall over if the pedestal is bumped slightly. Drop-off dates are Friday, May 3rd from 4pm-7pm and Saturday, May 4 from 10am-12noon. Work MUST be dropped off during those times. If you have work that requires special handling, you may drop off your work at installation (Saturday beginning at 3pm) but you MUST be at the gallery at 3pm, and have made prior arrangements by May 2nd. Otherwise, if your work is not at our gallery by noon on May 4, your work will not be accepted. If you cannot yourself drop off your work, a friend or relative can drop it off for you. PAC needs members to volunteer as Gallery Sitters. Gallery sitters sign up for 2 hour shifts. Gallery sitting provides quiet time to sketch, read, work on your laptop (you must provide your own mobile hotspot to use the internet), or .... We will need sitters from May 10th through June 20th. Please contact Dave Schiffer at davidaschiffer@mac.com for more information and to volunteer. Gallery shifts are Thursdays 5:30pm-7:30pm, Fridays 5:30-7:30 and Saturdays/Sundays from 1:00pm-3:00pm or 3:00pm-5:00pm. You can choose to work 1-5 if you desire. Thank you! We're looking forward to seeing you at Drop-Off!